We have travelled extensively across the globe and continue to seek out new destinations to add to our travel experiences. We are passionate about wildlife, the natural world and love exploring new horizons. The world’s kaleidoscope of cultures, amazing historical sites and extraordinary landscapes; makes travel, for us, pure pleasure. We offer you a bespoke tailor-made service taking time to understand you and your travel requirements. With access to over 450 tour operators and other suppliers including the well-known brands such as – TUI, Thomas Cook, Kuoni and Royal Caribbean cruises to mention a few – we will provide incredible travel solutions and deals for you, your family, your colleagues and your friends. For us, when we leave our front door, our next adventure commences. We aim to share our travel experiences with you. We have travelled on budget and on occasion been pampered in luxury, so we understand and appreciate different means of travel. Hopefully you will find our blog a destination to inspire you to travel and explore new destinations. We decided to make travel our life. We realised our dream and invested in the award-winning travel franchise – Not Just Travel. 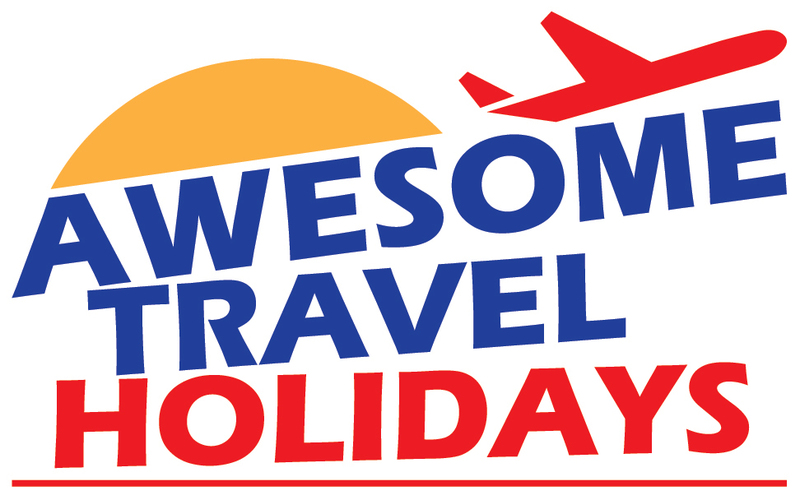 Our business, Awesome Travel Holidays, aims to help you with our personalised service, experience and passion. Nothing is too much trouble for us, we want you to love your travels as much as we do. We have access to over 450 different operators and suppliers which enables us to provide you with great package holiday deals, flights, cruises, city-breaks and bespoke itineraries. We love working with people to help them realise their dreams. Whether it’s a luxury travel option or an all-inclusive tailor-made dream break, a family holiday or a special occasion, at Awesome Travel Holidays we will deliver the ideal travel solution, just for you.